The Urus is a luxury SUV from Lamborghini that aims to combine Italian hypercar performance with a family-friendly, practical car. Its rivals include the Bentley Bentayga and the Porsche Cayenne Turbo. The Aventador S is an upgraded version of Lamborghini’s flagship hypercar. It’s very expensive, very loud and very fast, with few concessions to anything other than performance. The Huracán Spyder follows in the footsteps of its coupe sibling with both all-wheel drive and rear-wheel-drive versions. The Lamborghini Huracán Spyder LP610-4 is the al fresco version of the Huracán, sitting within a model range that also includes the LP610-4 and LP580-2 coupes. They all benefit from a glorious-sounding, naturally aspirated 5.2-litre V10, but losing the roof lets you get that little bit closer to it. Its name is Spanish for a very strong wind, but will the Huracan blow you away? In this film, Ivan Aistrop has a lot of fun finding out. 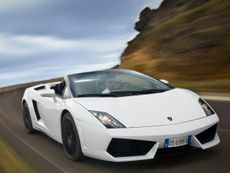 Read the Lamborghini Gallardo Spyder convertible (2006 - 2013) car review by Auto Trader's motoring experts, covering price, specification, running costs, practicality, safety and how it drives. 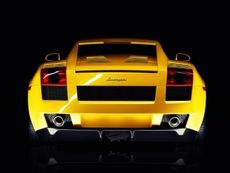 Read the Lamborghini Gallardo coupe (2003 - 2013) car review by Auto Trader's motoring experts, covering price, specification, running costs, practicality, safety and how it drives.